Sized Small (Infant) & Large (6 months) in one pattern. This pattern has something for everyone. Use Swiss eyelet for an easy, easy bonnet, or fashion an elaborate one w/lace insertion & lace edging. 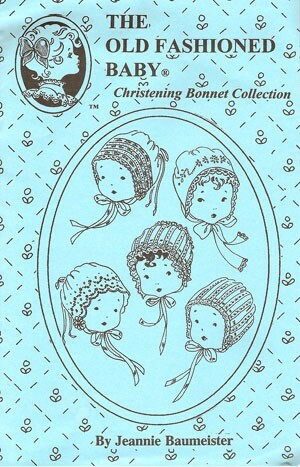 The Whitework Bonnet is a treasure form days past when women prided themselves on their accomplishment of white work stitches. Materials can be luxurious or tailored, the choice is yours!